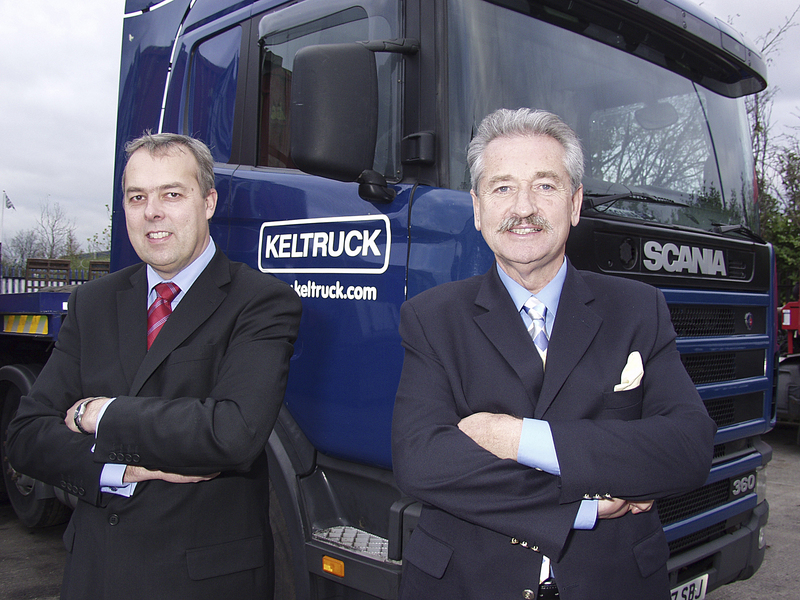 West Bromwich-based Keltruck has acquired East Midland Commercials in a deal that creates one of Britain’s biggest truck dealerships. 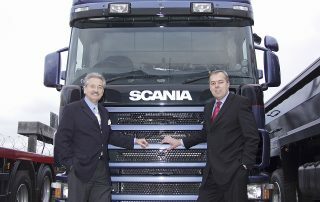 The new, enlarged Keltruck will have annual sales of around £100 million and almost 500 employees. With 17 locations across the Midlands, it is the UK’s largest independent dealership for Scania vehicles. 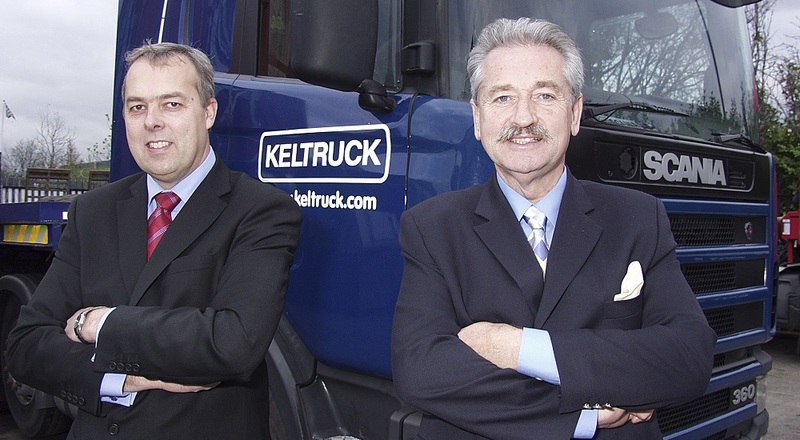 Mr Kelly, who founded Keltruck in 1983 and who was also a 50 per cent shareholder in East Midland Commercials, predicted the business would grow to more than 550 employees next year. The company is already planning to open a new vehicle maintenance unit in Buxton in February. The acquisition gives Keltruck a major presence in the East Midlands, a growing centre for logistics companies with an expanding airport, where it wants to increase market share. The two businesses will run separately until the end of this year and then fully merge into one company on 1 January 2005. 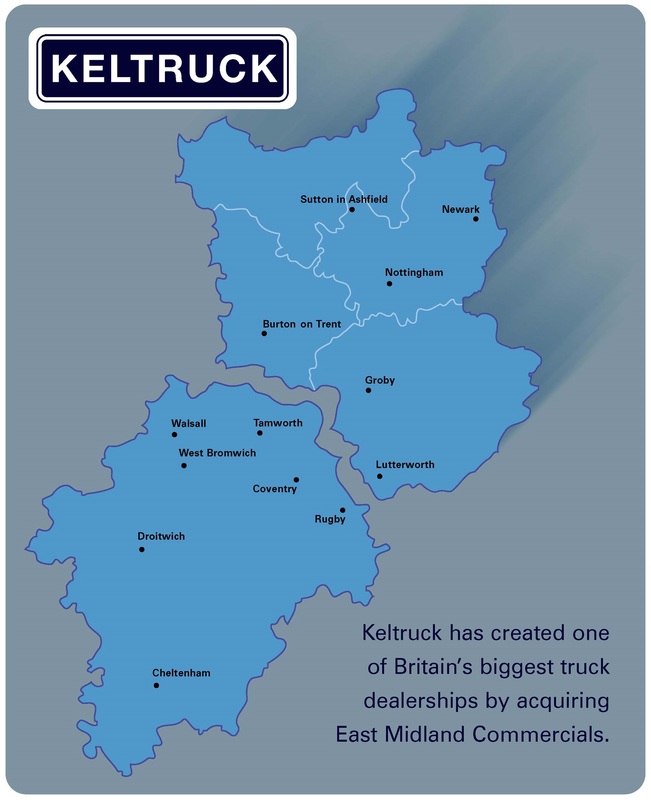 Keltruck, whose head office will remain at Kenrick Way, West Bromwich, now has depots at Burton on Trent, Cheltenham, Coventry, Droitwich, Groby, Lutterworth, Newark, Nottingham, Rugby, Sutton in Ashfield, Tamworth, Walsall and West Bromwich as well as four vehicle maintenance units. The company’s main activities are the sale of new Scania trucks and parts and the sale of used – mainly Scania – trucks along with repair and maintenance for the Scania range, including bus and coach. The company also operates a commercial vehicle accident repair centre as well as the world’s largest Scania truck recycling facility selling used and reconditioned parts. 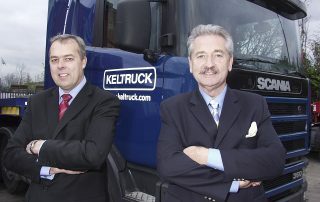 Company Chairman Chris Kelly founded Keltruck Limited in 1983. He wholly owns the company. He co-founded East Midland Commercials Limited in 1992 with his friend and business partner, Alan Murrall, who died in May 2002. EMC has been purchased from Mr Murrall’s family and their business partner. 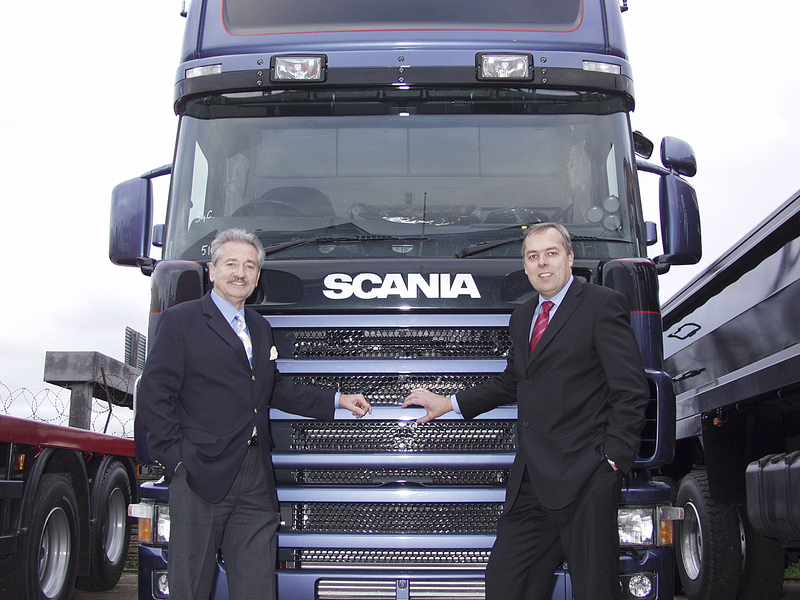 Both Keltruck and EMC are distributors for Scania, a commercial vehicle manufacturer specialising in heavy trucks. Keltruck customers include West Midlands Travel, National Express, First Bus, TNT, Focus DIY & Gardening, B&Q & Lloyds Pharmacy.